This is one of those songs that takes no liberties with the truth. It’s a song about my Dad and everything about it is as true as I know how to make it. He never heard the song, and I suppose I lament that on some level. But if I had played it for him, he might have been a little embarrassed by it. We were not raised to wear our emotions on our sleeve. We weren’t the type to say “I love you” much. The attitude was kinda “Why state the obvious?” It was a rock solid given. I have inherited a love of beer, and a fondness for cool bars. 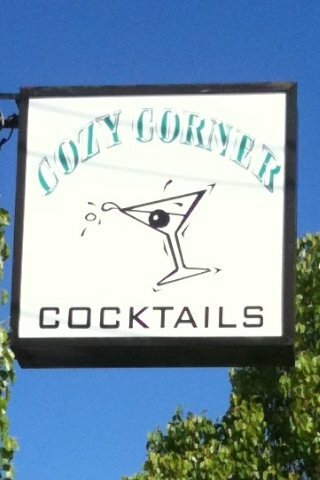 And I do wish I could have seen the Cozy Corner. It remains a mythical place ; the stuff of childhood legend. 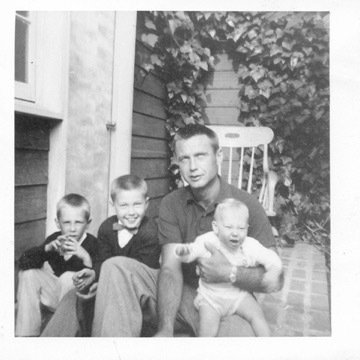 Roderick Arbuckle Smith, with sons Rick, Dave, and Tony. I was only that gleam in his eye. This is young Lalo Rios, who worked with my Dad and called him "Pelone."